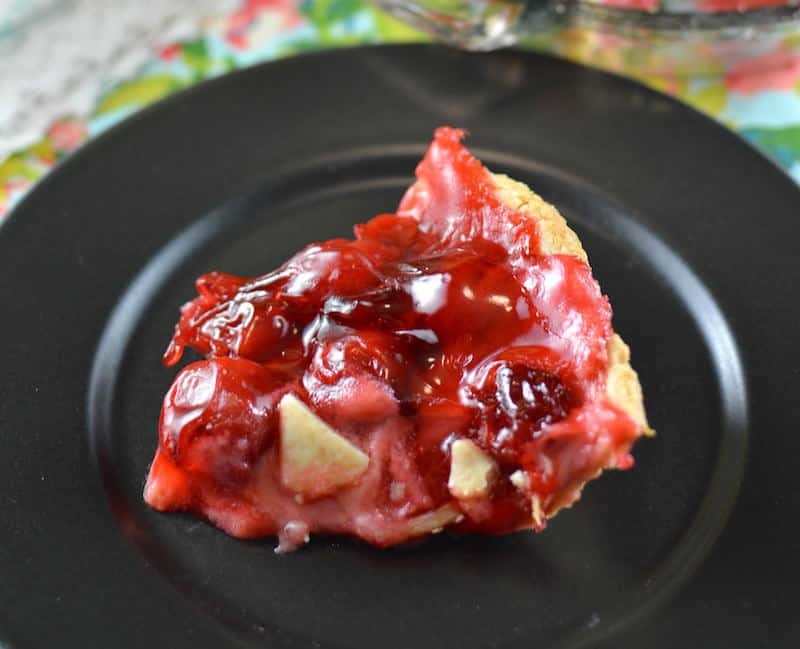 Make this EASY cherry cream cheese pie with ready made ingredients! 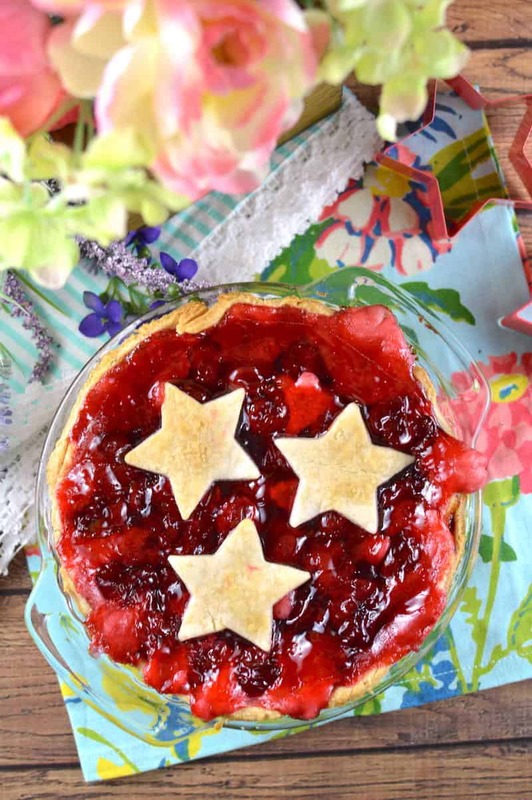 This summer dessert is perfect for the 4th of July and Memorial Day. 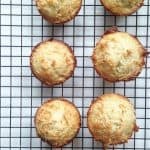 Sometimes I like more complicated desserts, but sometimes I just need easy. I think you know what I’m getting at, right? 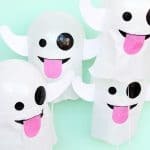 Maybe you waited too long to get ready for a summer barbecue at you’re at the store and need a quick idea. Or maybe you’re just tired but still want dessert (my usual state!). Any way you slice it (heh heh), this cherry cream cheese pie is your perfect solution. The whole thing is made with ready made ingredients. I love making things from scratch too, because they’re delicious. But this cherry cream cheese pie is equally as tasty! 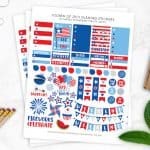 Your fellow barbecue attendees are going to think you slaved away in the kitchen all day. But you didn’t . . . and that will be our little secret. Note: this is made in a 6″ pie plate. If you want to make it in a regular 9″ pie plate, you’ll just use the second ready made pie crust to cut the designs out of. I’d also buy a larger can of cherry pie filling. 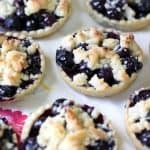 AND if you don’t have a star cookie cutter, you can cut the crust into shapes yourself with a knife or slice vertically to make lattice work. Cherry pie filling – 1 can, 21 oz. 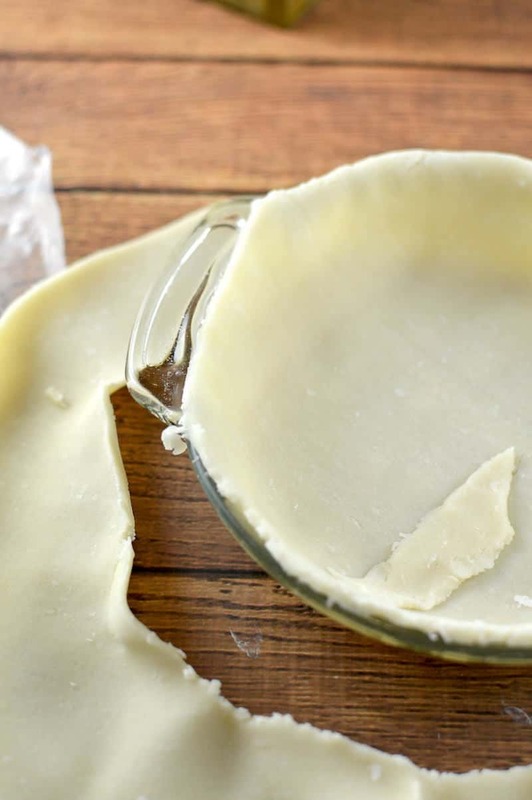 Set out your pie crust until it reaches room temperature before working with it. Spray the pie plate with non-stick spray. Lay the pie crust into the pie plate and press down into the bottom. Peel off or cut the edges around the edge of the pie plate. Set aside. 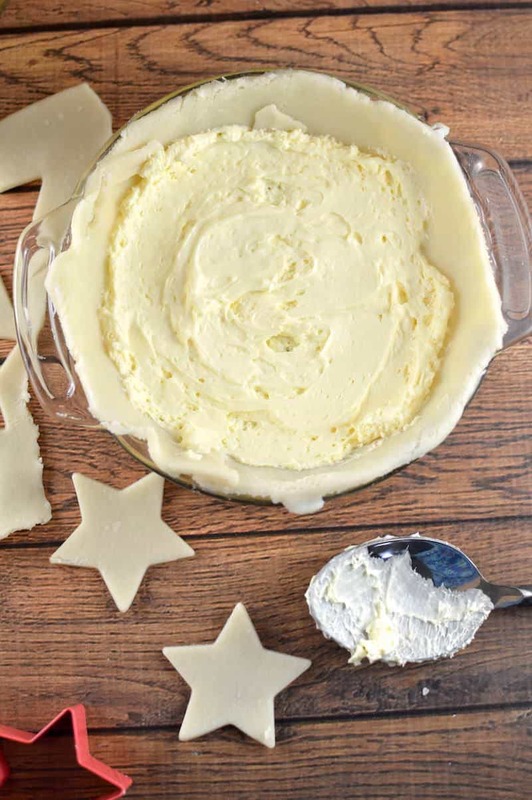 Add cheesecake filling – about a 1/2 layer from the bottom. Add cherry filling until the pie plate is full. 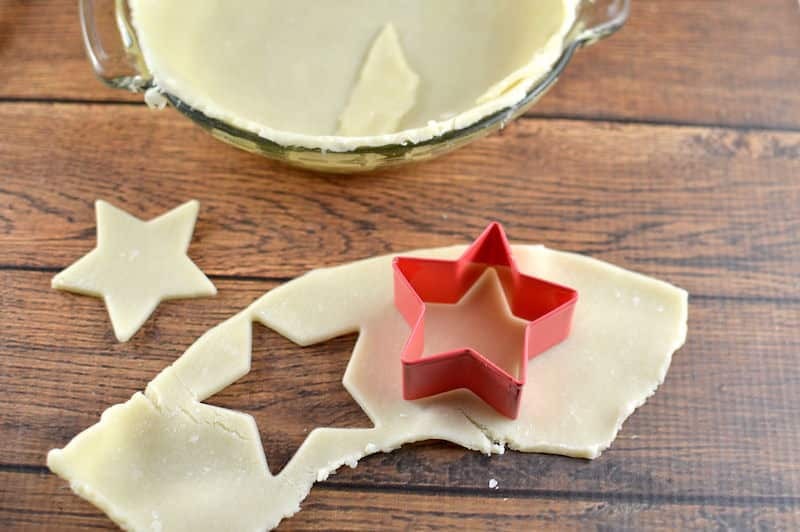 Cut stars into the leftover pie crust with your star cookie cutter. Place as many as you like on top and then brush the melted butter on with the basting brush. 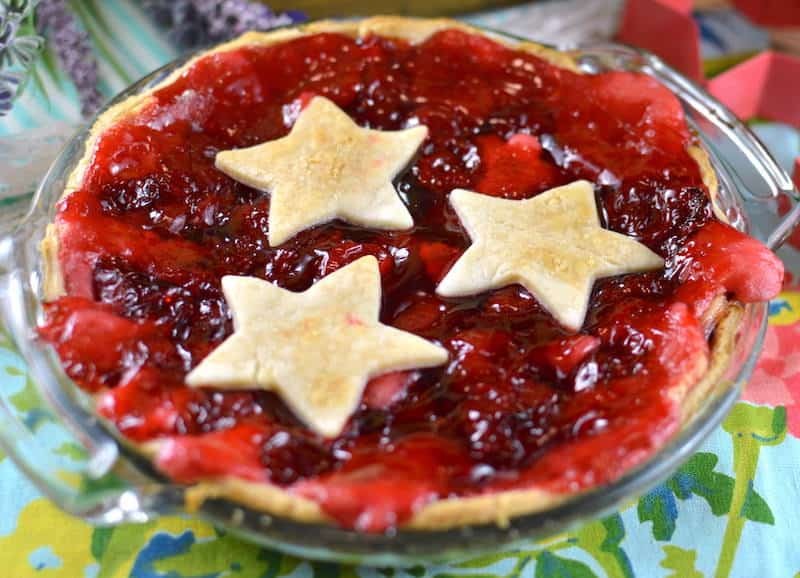 Place your cherry cream cheese pie the oven for about 20 minutes or until the crust turns golden brown. Take out and let cool before serving. 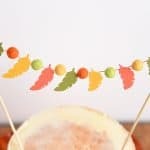 Serve with some ice cream and enjoy! Lay the pie crush into the pie plate and press down into the bottom. Peel off or cut the edges around the edge of the pie plate. Set aside. Add cheesecake filling - about a 1/2 layer from the bottom. Add cherry filling until the pie plate is full. 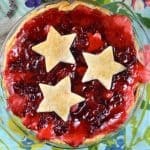 Place your cherry cream cheese pie the oven for about 20 minutes or until the crust turns golden brown. Take out and let cool before serving. Serve out with some ice cream and enjoy! 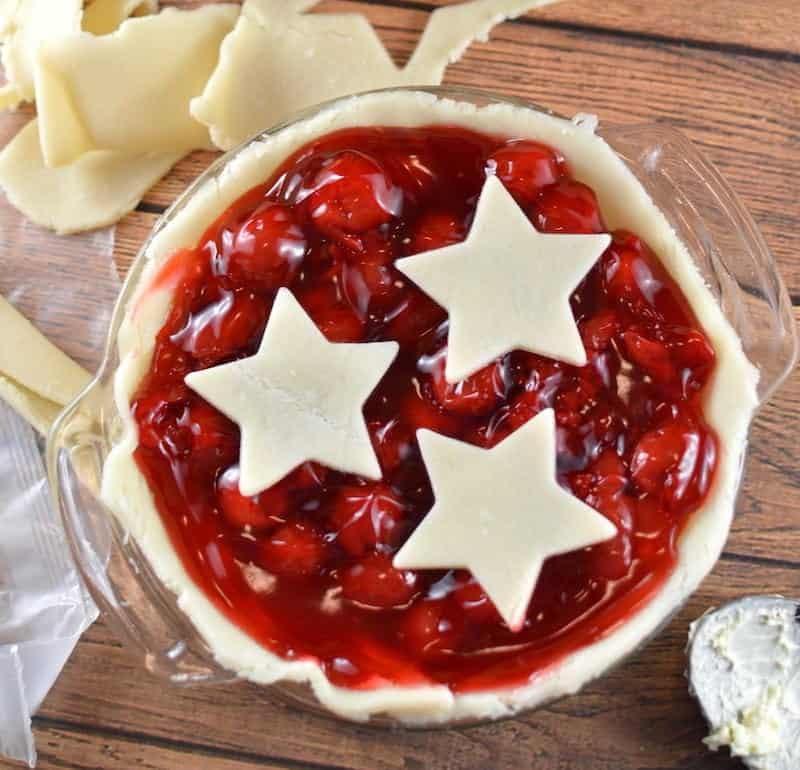 This cherry cream cheese pie would be a huge hit for the Fourth of July or Memorial Day!